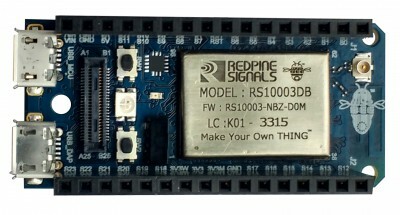 The WyzBee board of Redpine Signals includes a wireless module providing Wi-Fi, Bluetooth 4.1, and ZigBee connectivity. Moreover it holds a six-axis inertial sensors, an infra-red receiver, a debug port, push-buttons, LEDs, USB ports, and expansion connector. 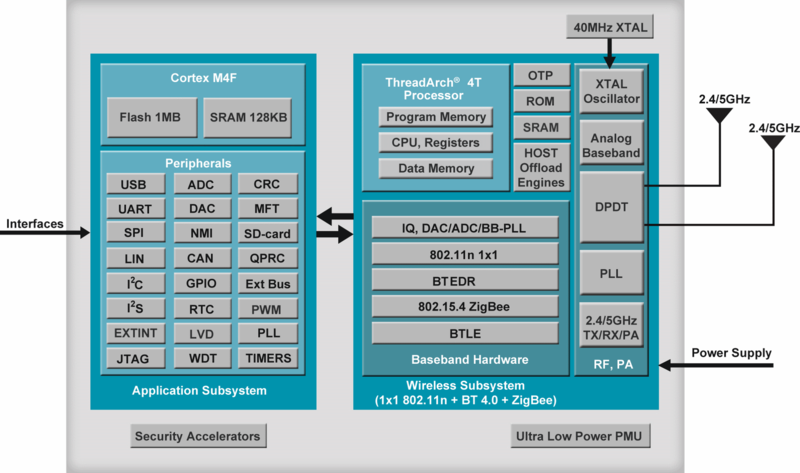 Last but not least there is a Dual Core MCU with memory, wired interfaces and peripherals. 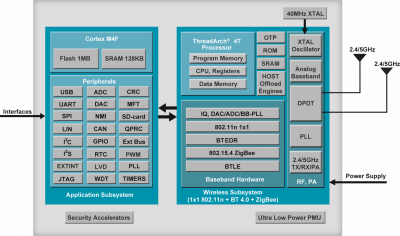 TCP/IP networking stack with SSL/TLS/HTTPS security, apart from complete Wi-Fi, Bluetooth 4.1, and ZigBee stacks. All mayor wireless interfaces and protocols are included for estimated 29 USD. For just 29 bucks your IoT / M2M idea can be realised. With the WyzBee your IoT M2M idea can come true quickly. In the second step you migrate the prototype on WyzBee board to your final PCB. Integrated stacks to the cloud: MQTT, CoAP, 6LoWPAN, Thread etc. 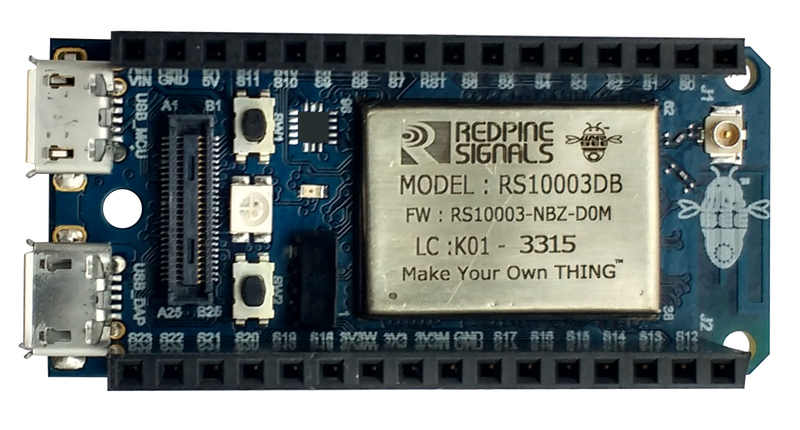 The core of WyzBee is the RS10003 of Redpine. The wireless chip, the MCUs, the memory, the interfaces and the peripherals are inside a module. The dimensions of RS10003 are 21 mm x 15 mm x 3 mm only. Application development is supported with a choice of development environments, including IAR, Keil, and free of charge CoIDE. A debug tool, called WyzBee Workbench, is also integrated into the development environment and provides a debug analysis of data traffic between the device and the cloud. WyzBee platform features advanced machine learning capability for assisting application enhancement. For more details on how to create your device using WyzBee, please go to Working with WyzBee. What about to design your own wireless thermostat? The WyzBee board wit display extension board is a perfect starting point for your own wireless thermostat. If you are interested in samples to test the Wyzbee board, then do not hesitate to drop an email to get-my-own-wyzbee (at) gsm-modem.de . Nevertheless, I will keep you posted on this amazing IoT enabler. This is Siva from Zebra Connectivity team responsible for Bluetooth module across different products. 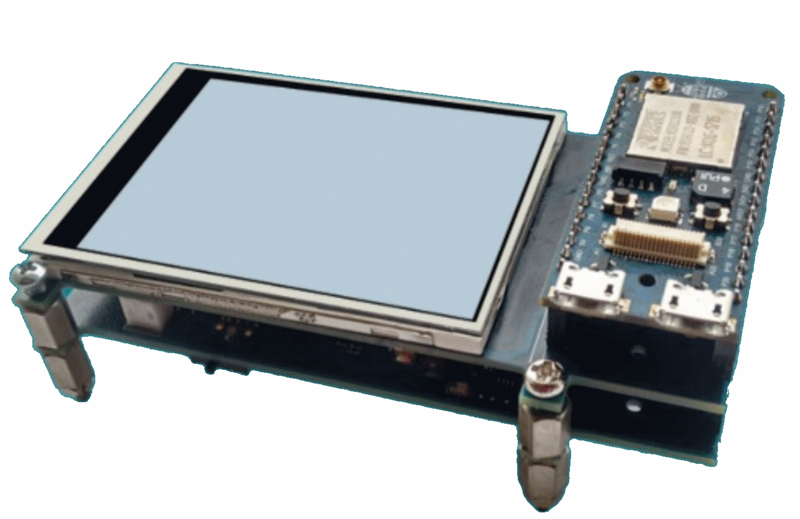 We would like to have hands on WyzBee board wit display extension board. Let us know the details to get the same. Thank you. Hi Siva, you will find an offer in your email inboy. Just to let you know, that I have luck. I will get samples before http://www.m2m-summit.com on 8th. and 9th. of September in Düsseldorf. However, the community is rising fast. As more developers will play with this new wireless gadget as better will be our support. One of my next steps will be to get the CoIDE compiler up and running. For this task I need the help of business friends. However I will keep the community posted. 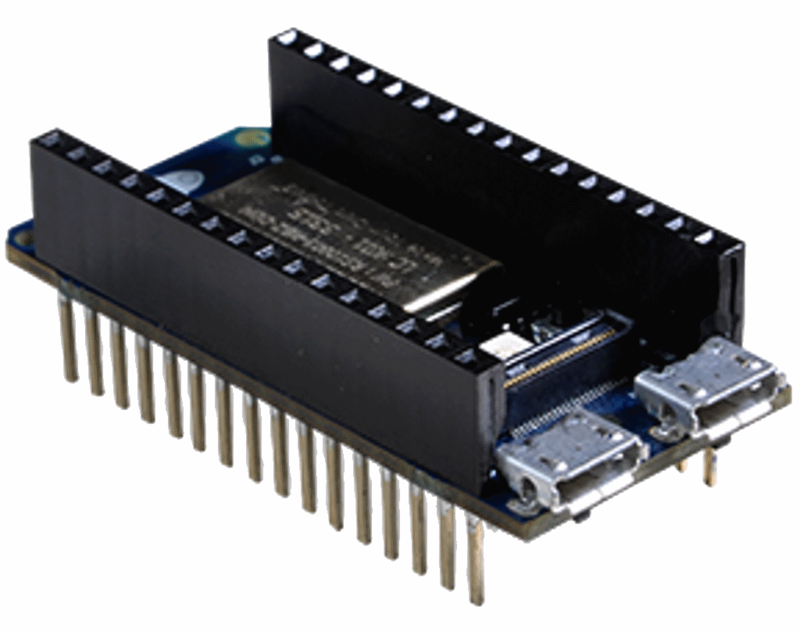 Am interested in purchasing the module. Kindly let me know the pricing details and also about the shipping details. Am based out of Chennai, India. Hats noch WyzBee Boards zum Testen? Dear Felix, yes we have WyzBee boards ready to ship. WyzBee is great product and can bbe migrate to any industrial application you like. I will come back to you by email next week. Have a nice weekend.